One of the shortest and most influential speeches in American history was the Gettysburg Address, which was given by President Lincoln. It was a defining moment in history that changed the way that we see the role of the population. Let’s take a look at why this speech was so famous and what made it so instrumental. Most school children know of the Gettysburg Address and have been taught to memorize it. This speech can often be recited by children of this age as it is so short to memorize, though they’re not always aware of what it means. Lincoln changed the way that speeches were made with this Address and it was arguably the first modern speech. There is one myth that Lincoln was unprepared for the address and wrote the address on the train. This has been disproved in recent years, as he was an exceptionally organized person. The rumor goes that he was writing the document on the back of an envelope, though it’s more likely that he edited the document on the go. He did have a secretary that traveled with him, so it’s more likely that he would have worked on the document with him. Gettysburg was packed on the day of the Address and even the President could not find a room to himself. The area was filled with soldiers’ families and those that wished to pay tribute to those that had fallen. Prior to Lincoln’s speech, Edward Everett spoke for two hours on the dedication of the land. In hindsight, people have speculated that Lincoln’s speech was paltry compared to Everett, but it was really the latter that was expected to speak for longer. His speech was more than 14,000 words long and covered history, philosophy and politics. After Lincoln’s speech, it was more common to speak in a shorter and more conversational way – rather than with the flowery language that would have been used in Everett’s speech. After the Address, Lincoln was said to have been incredibly ill with smallpox. Scholars have noted the timeline would mean that the President would have been in the early stages of the sickness while giving the speech. Spectators noticed that the President was not in good health and his secretary stated later that he looked ill while giving the speech. The dedication ceremony was held on the 19th of November, 1863 and changed many of the cultural norms surrounding such an occasion. 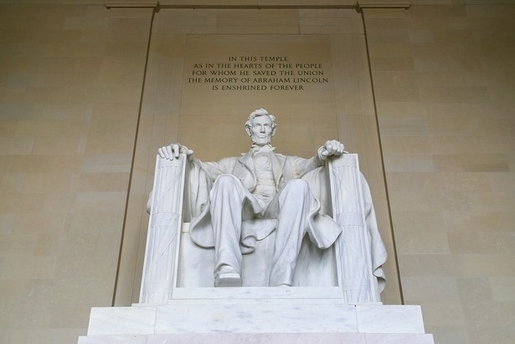 The entire speech is carved into the Lincoln Memorial alongside the statue, which can be found in the National Mall of Washington DC. This two minute speech had a much more lasting impression than the two hour one given by Everett, but both were equally important on the day. If you want to learn more about the Civil War and what effect it had on the people of Gettysburg, then join us on our tour. This historic battlefield is an excellent place to learn about the significance of the war and the Address thereafter.